How do musicians and radio stations help build ‘sonic sovereignty’ for Indigenous hip hop artists? Brandon University’s Out of Bounds lecture series brings hip hop scholar Dr. Liz Przybylski from the University of California to tackle this question. Dr. Przybylski is an Assistant Professor of Music at the University of California, Riverside. 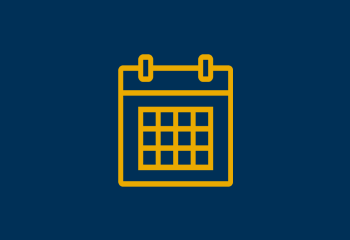 Recent and forthcoming publications on Indigenous hip hop and popular music pedagogy have appeared in Ethnomusicology, Journal of Borderlands Studies, IASPM@Journal, and others. Liz has hosted radio programming on WNUR in Chicago and CJUM in Winnipeg. She is the media reviews editor for the journal American Music. 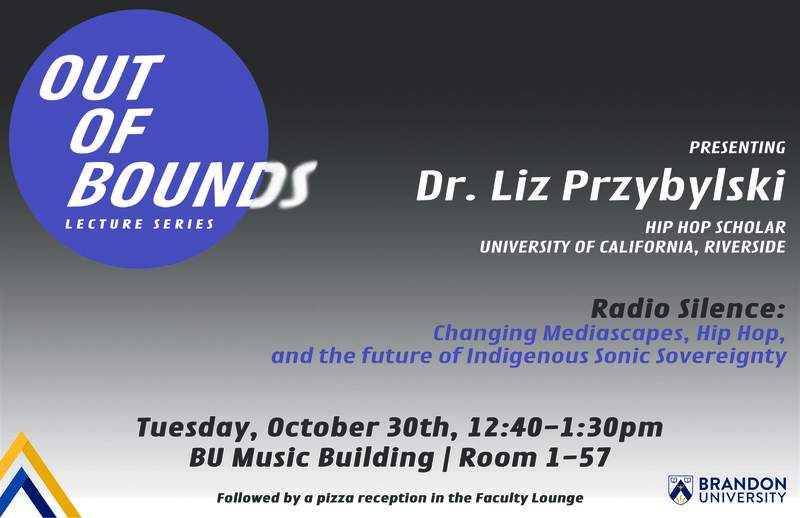 Her talk, “Radio Silence: Changing Mediascapes, Hip Hop, and the future of Indigenous Sonic Sovereignty,” will be presented in Room 1-57 of the QEII Music Building on Tuesday, Oct. 30 from 12:40–1:30 p.m. A pizza reception will follow in the music faculty lounge. It was a classic success story. An innovative group secured funding, staff, and a coveted broadcasting license to start something fresh: a hip hop station playing music by and for the Indigenous community. Listeners got inspired, recorded new tracks, and got them played on air. Until financial pressures and audience expectations tempered that success: grant funding was cut, commercial money was hard to attract, and media professionals tried new strategies to face these difficult challenges. Based in ethnographic work with media experts and hip hop artists at Canada’s first Indigenous hip hop station, this presentation interrogates how professionals navigate conflicts and changes in broadcasting rules, funding priorities, and community needs. As contemporary Indigenous expressive culture is increasingly heard in mainstream venues, media that once served a diverse but relatively small urban Indigenous community now faces new pressures. Centering on a Native-licensed radio station, I find that broadcast and streaming radio simultaneously contribute and respond to shifting ideas of urban Indigeneity in the minds of a Native and non-Native listenership. Changes in practices and policies for “mainstream” broadcast and streaming radio have had pro-found impacts on racial representation in urban pop soundscapes. I extend research that explores the whitening of mainstream radio and detail the implications of this trend on how Indigenous artists are heard — and silenced — through pop music distribution. Building on Michelle Raheja’s work in visual sovereignty, I demonstrate how musicians and media professionals are actively building what I call sonic sovereignty, navigating the expectations of mainstream airplay while pushing aesthetic and political boundaries.